John McCain is gone. Also gone is the last gasp of moderation and decency in conservatism and the Republican Party. While he never met a war he didn't like, and cursed our nation with the ignorance of Sarah Palin, McCain had a sense of honor and basic human decency that is no longer found in American Con-servatism. He is now a relic of the past. He did the decent thing again. Now those same frightened ill-informed people are listening to Trump. They are why Trump is in the White House, thanks to the Right's propaganda machinery. This is what separated him from the Trump Crime Cartel. If only he could have realized that is almost the entire MO of con-servatism. McCain made one last decent contribution to his country. He invited George W. Bush and Barack Obama to share the eulogy at his funeral. Not inviting the current president was his last gesture of decency, briefly uniting Americans of both major parties. The Party of Trump was not invited. The hated “liberal media” and “enemy of the people” are all running thoughtful tributes to the veteran, former POW and senator. It is a reflection of basic human decency. John Kerry and Al Gore also put their lives on the line in Vietnam. Will con-servatives and FOX (R) and Breitbart show equal decency and respect, or any admiration at all for them? Any bets on their decency? Has anyone else noted the tendency of those wrapping themselves in "liberty", the flag, and Bible are always shilling for the Orwellian agenda of the far Right and economic elites? I pulled out my old copy of "1984", just to see how far we've descended as a nation. The frightening realization was this. We are not at the bottom yet, but the downward trajectory is steeper than ever. “Just remember, what you are seeing and what you are reading is not what's happening.” Big Brother Don. Very Orwellian. Rudy "O'Brien" Giuliani, the Right-wing Authoritarian 9-11 guy sums up the Orwellian Trump era doublethink even more concisely than his client. That nugget of doublethink takes a place among Eric Blair's, "Ignorance is strength. Freedom is slavery. War is peace." The rising white nationalism and far Right/Trumpist tribal beliefs and ideology are expressed with the same fervor as 1984’s “two-minutes hate”. It is also similar to cults and religious fundamentalism. As in, "Jesus sent Trump to save us!" They are conditioned to despise and distrust all sources of information that questions their leaders and ideology. Corporate media rarely challenge Wall Street and capitalism in general, but since they call out the lies of the Right, they become the "enemy of the people". Minorities, liberals, and the press have become the scapegoats of this new fascism. 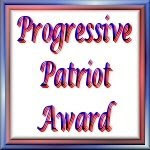 It is very much an Orwellian cult, and they are programmed to hate liberalism and democratic socialism as the equivalent of "Goldstein's Brotherhood" or Stalinism. This is so ironic, while they embrace Putin over the majority of their fellow Americans. Now their ignorance, resentment, fear, anger and hate are fueled to the point of dangerous extremism. The white nationalists and Republican Party created this monster, There can be no good consequences of Orwellian rulers, austerity, and permanent conflict. It will be the norm until we see either Republicans put the country and the rule of law over their Party's power, or the opposition party finds a spine and conscience, as well as an overwhelming number of informed voters. It will come down to either that unlikely scenario, or until some catastrophic upheaval eventually intervenes. The first option has an expiration date this November. After that, the inevitable awaits.